Took a trip to DC this past week, although almost no exploring took place due to time constraints. 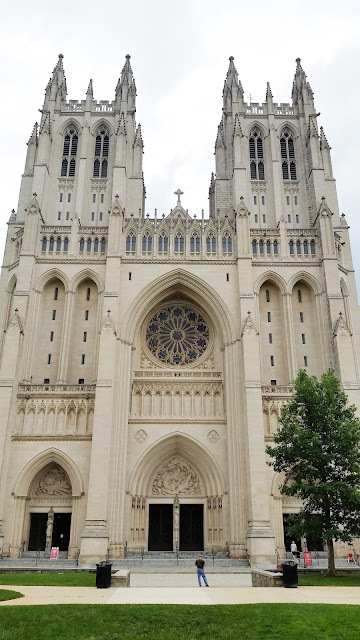 Near my hotel was the National Cathedral, an Episcopal church that is the sixth largest cathedral in the world. It is a truly massive structure, and the neo-gothic design exudes power and solemnity. The inside was equally impressive: my favorite aspect were the three levels of stained glass windows. The ground floor featured scenes from American history, while middle and upper levels featured scenes from the Old and New Testament. Flags from each state also lined the central aisle inside.